This article will explain how people can take better care of their endocrine systems through their diets. Note: Hormonal problems should still be addressed with a doctor. Many people overlook hormonal issues when evaluating why they suffer from various health woes. Hormones serve as the human body’s computer processor, telling organs and cells what to do. When the delicate balance gets lost due to aging, exposure to environmental toxins or severe stress, physical symptoms begin to disrupt daily life activities. When people mention hormone issues, many automatically gravitate to thoughts of premenstrual or menopausal women. However, hormonal imbalances impact both women and men, albeit in different ways. Those suspecting their body chemistry may have lost its hormonal groove can often find relief from making dietary changes that promote hormone health. Several glands make up the human endocrine system, from the pituitary gland in the brain to female ovaries and male testes. The endocrine system includes the pancreas and imbalances can lead to both Type 1 and Type 2 diabetes. Unbalanced reproductive hormones often result in polycystic ovarian syndrome (PCOS) in women, a disorder that causes pain, weight fluctuations and lowered fertility levels. In men, low testosterone levels can likewise impact their reproductive function and energy. Thyroid disorders in both men and women impact metabolism. Too little thyroid hormone results in low energy, dry skin ,and weight gain, while too many results in unexpected weight loss, acne ,and bulging eyes. While many people question the potential side effects newly prescribed medications may carry, relatively few demonstrate similar concern about what they brown bag to lunch. However, all medicine originally stemmed from plants and animals that humans consume. Just like snowflakes and fingerprints, everyone has their own unique biochemistry that impacts their hormonal health. Like some patients benefit from certain drugs while others find them intolerable, foods that may change one person’s chemistry for the better may prove less effective in others. Those suffering intractable symptoms sometimes benefit from an elimination diet to determine if allergies or biology play a role. Those wishing to rebuild their hormonal health naturally do well to check out these superfoods known for correcting imbalances. Hormones didn’t fall out of balance overnight, so these dietary changes may take a while to reach maximum effectiveness. However, replacing toxic habits — such as addictions to artificial sweetener and preservatives — with whole foods will eventually detox the endocrine system. Fish like salmon and mackerel contain a powerhouse of omega-3s for slowing cortisol production resulting from long-term stress. One study demonstrated that men who consumed omega-3-rich foods for three weeks performed better on a mental stress test than those who refrained. Fish also helps women manage PCOS symptoms, and omega fatty acids can help boost fertility in women. Salad greens cost relatively little compared to their animal-derived counterparts. Consuming this dark, leafy green helps restore the adrenal glands, which are responsible for the fight-or-flight response, to proper functioning. Eating for hormonal balance need not break the bank, even among financially struggling undergrads. Those who suspect poor thyroid function as the cause of unexplained weight gain might plan a trip to the nearest sushi bar. The seaweed that wraps tasty rice and fish rolls contain a ton of iodine, a mineral that stimulates thyroid function. Practitioners of Asian medicine often recommend seaweed for those looking to shed pounds. Eggs contain selenium, an essential mineral for helping the body translate thyroid hormones into a form the body can utilize. Some research suggests that consuming eggs regularly may cut the risk of certain cancers and boost immune function in addition to revving up the body’s metabolism. This hip new superfood has existed in the Peruvian mountains for ages. While the plant must be roasted prior to consumption, some initial research indicates it may improve female fertility. 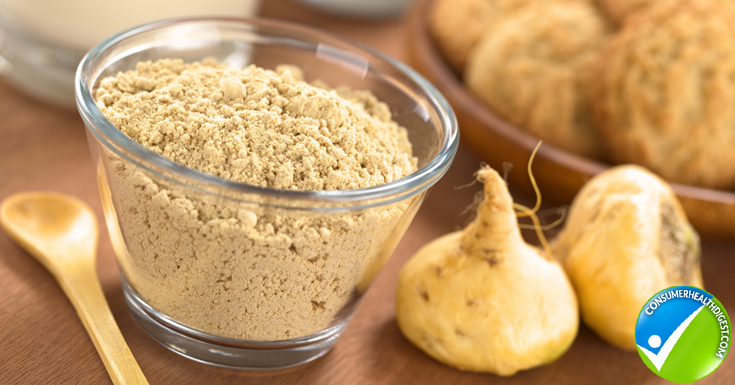 Subjective reports indicate that roasted Maca or Maca powder may also reduce hot flashes and other symptoms in menopausal women. While scientific evidence has yet to support that this staple of Indian cuisine alleviates menstrual pain, anecdotal reports indicate it may work effectively to treat cramps, bloating and headaches associated with a woman’s period. At the very least, the herb has proven antioxidant properties, so even if some women fail to receive menstrual relief, they still replenish their immune system. This ancient grain comes jam-packed with vitamins, fiber and protein direct from nature. Vegans have long revered the grain as a source of amino acids, and women seeking to lose weight while addressing an underlying androgen deficiency swear by it. Those with diagnosed celiac disease do well to exercise caution by introducing quinoa gradually to test their tolerance. Some nutritionists suggest arranging daily vegetable intake by color. Different colors of vegetables contain unique mixes of nutrients. When performing Sunday meal prep, keep this in mind when selecting weekday snacks and meals. 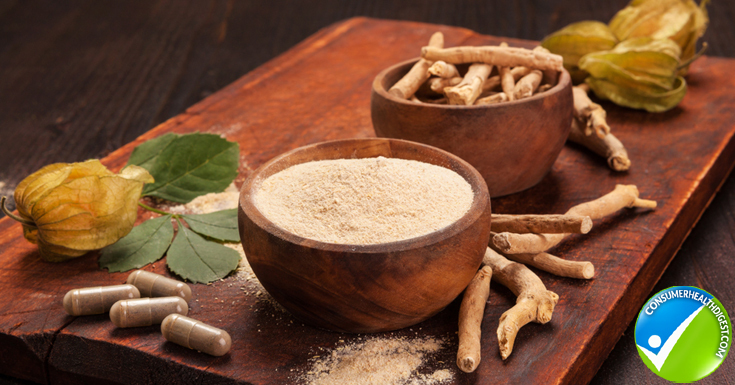 Practitioners of Chinese medicine have long recommended this herb for female hormonal imbalances, but it also helps support thyroid and adrenal function. Those with a slightly sluggish thyroid benefit from incorporating this herb. Ashwagandha makes a lovely powder for a hazelnut latte. Alternately, use the herb in no-bake cookies. Oysters have long enjoyed a reputation as an aphrodisiac for good reason. Men suffering from low testosterone levels benefit from adding oysters and other shellfish into their weekly menus. The high zinc content helps raise low-T levels naturally. Just about any color of high-in-zinc beans can boost testosterone levels naturally. Kidney beans and black beans also contain vitamin D, another nutrient that raises the level of this hormone in men. Think Tex-Mex and order that three-bean chili. Beneficial to both men and women, this healthy oil provides the type of unsaturated fat fantastic for overall hormone health. Think of olive oil as a sort of catalyst that helps the body convert nutrients into a usable form. Toss some noodles and veggies with olive oil, a touch of parmesan and Italian seasoning for an easy pasta dinner. Healthy hormones tell the body what to do at the right time to keep everything working as it should. When they fall out of whack, the aftermath can take a serious toll on overall health. 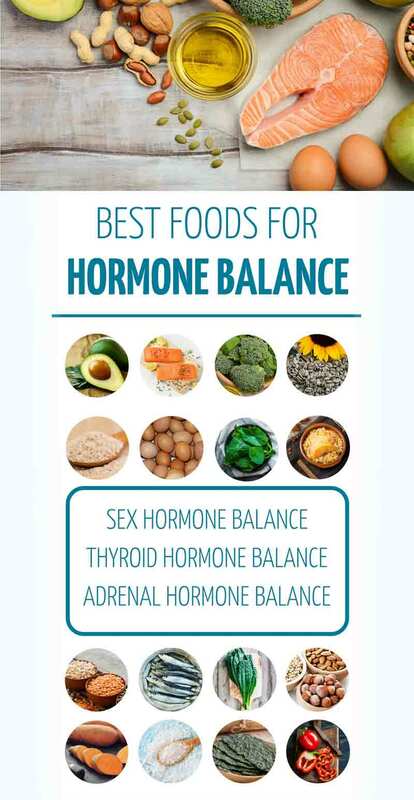 By nourishing the endocrine system with hormone-happy foods, both men and women can lose weight, increase their energy and improve their sexual health.